Pre-made countertops are made in standard sizes and come pre-assembled (complete with backsplash) ready for installation. 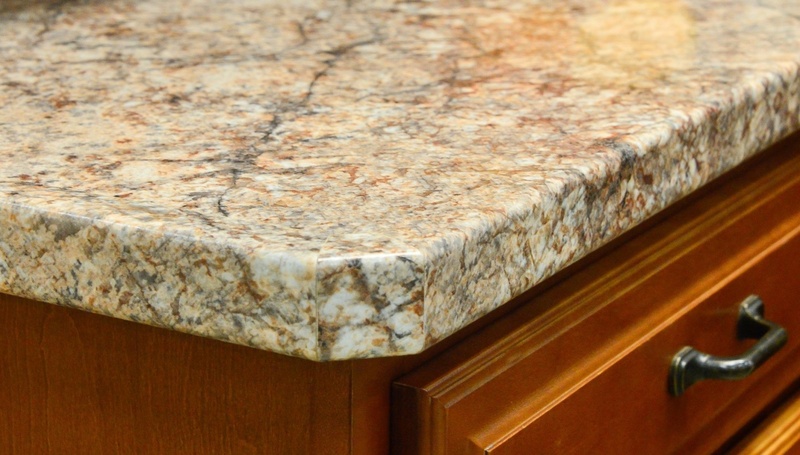 For precautionary purposes, it is advisable to buy pre-made countertops which are a little longer for obvious reasons unless your countertop has a standard length. For non-standard length countertops, you can have the countertops custom made or you can build the countertops yourself. Below is a step by step quick guide to making and installing laminate and Formica countertops. 1. Measure the countertop and make sure you include a counter overhang which is approximately an inch long in front and on the open ends. 2. Ensure counters make a square at the point where they meet. Proceed by making a 3-inch mark from the corner of one wall and a 4 inch mark from the corner of the other wall. If the distance between the marks is not 5 inches, you should consider hiring a professional to make your countertop. 3. Finish by making sure all measurements are accurate and install your countertop(s) at this point. If you get the measurements right, you shouldn’t have a problem during installation. 1. Shut off water in the sink area when working. It is also important to power off power tools when you aren’t using them. 2. Also ensure your sawhorses are stable and level before you place your countertop on them. Contrary to popular beliefs, installing countertops shouldn’t be an expensive affair if you choose to deal with a company like Timco Construction which charges reasonable prices for a whole range of services ranging from making to installing countertops. It is however advisable to make the countertops yourself if you are really keen on maximizing savings. It is however worth noting that you need to put in a lot of time and effort and be good at doing DIY projects.